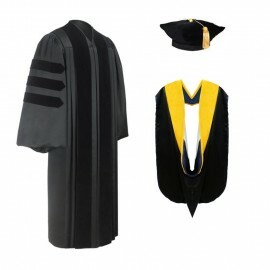 We have put together the perfect ideal Doctorate gown and hood package for the proud graduate celebrating the achievement of a PhD degree. All our academic doctoral products are made from the finest materials and sophisticated craftmanship. 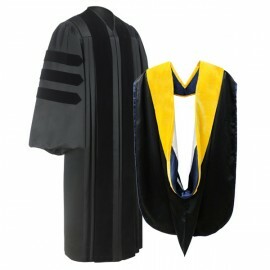 The doctoral gown is fluted and has velvet at the front panels and three rows of velvet at each sleeve, providing stylish comfortable Academic Doctoral Regalia. When placing your order you are able to choose the color combination the doctoral hood to fit your requirements. We also offer doctoral Tams individually as well as Doctorate Beefeaters. Shop online at Gradshop knowing that you are ordering excellent doctoral products at affordable prices and great delivery options.